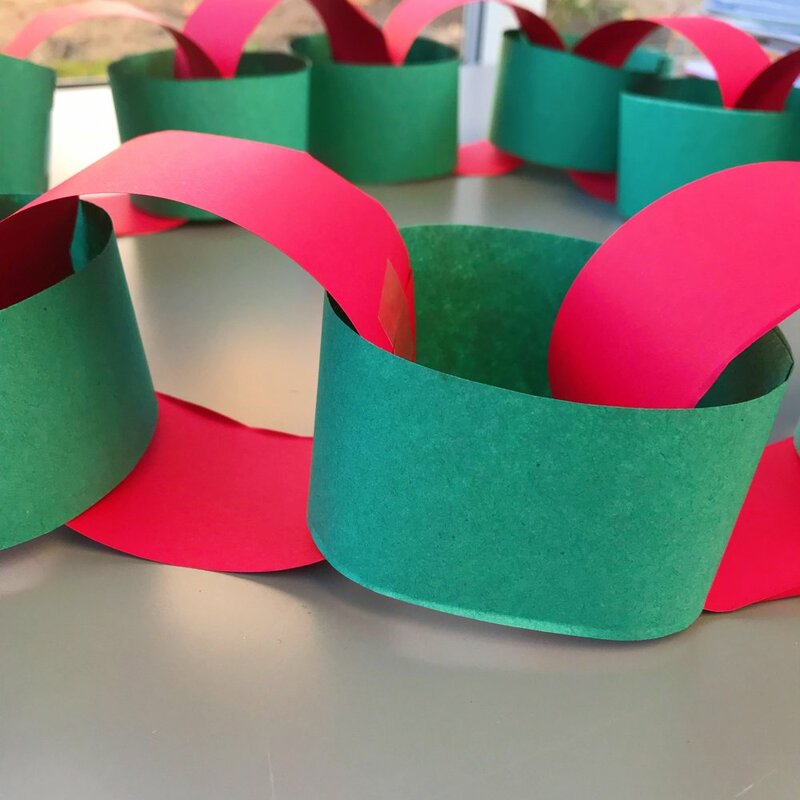 I’m feeling a little nostalgic this Christmas and so I’ve been spending lots of time with the kids making the sorts of Christmas decorations and games we used to make and play as kids, so naturally retro style festive paper chains are featuring! I remember making literally miles and miles of these paper chains and throwing them up all over the house – we loved doing them! 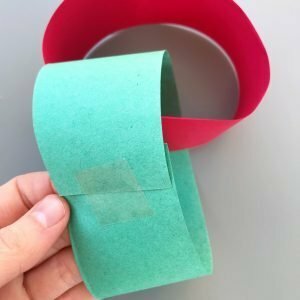 If you fancy making your own retro festive paper chains – here’s how. lots of sheets of A4 paper – plain colours, patterned any you like. Cut the A4 paper into strips length ways so you get nice big hoops. Curl a strip into a hoop shape and secure with sellotape – on the outside of the hoop. Take the next strip – hoop it through the previous hoop and secure with sellotape. Continue until you’ve got the length of paper chain you want.